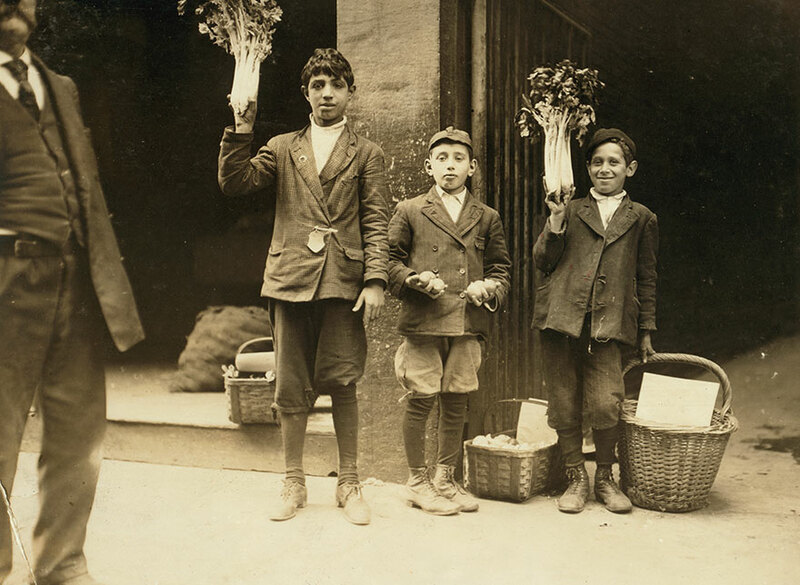 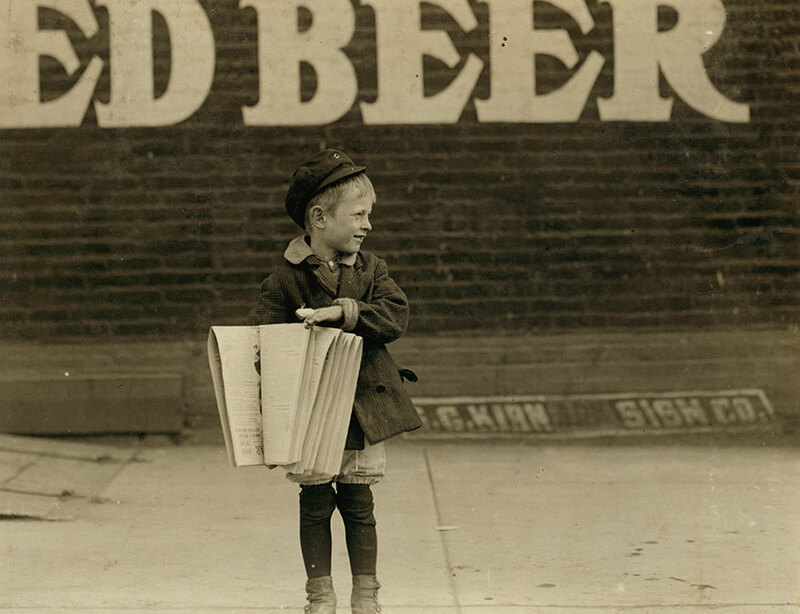 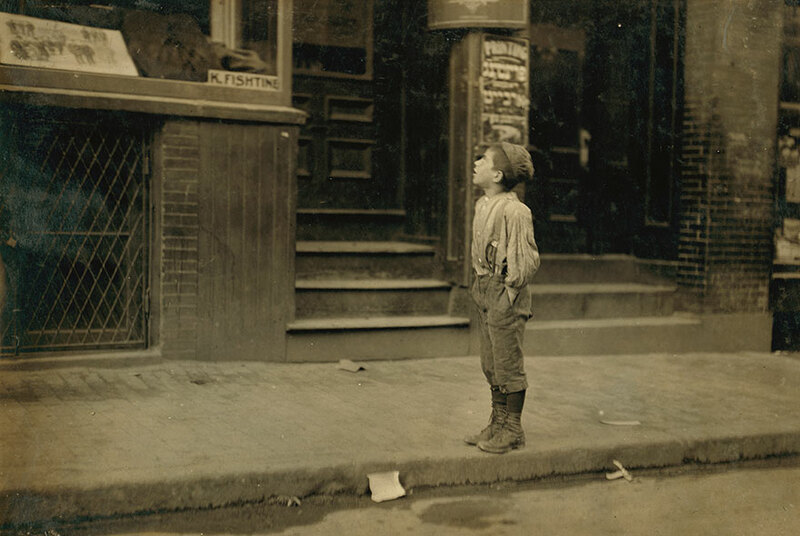 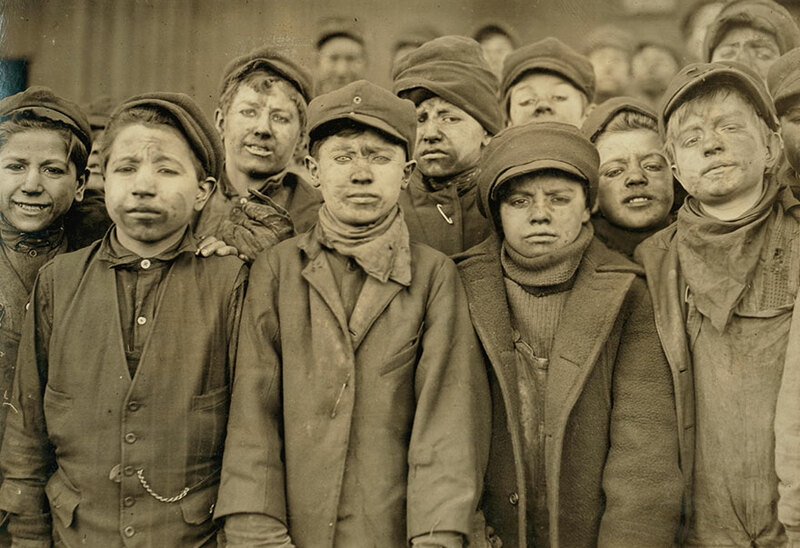 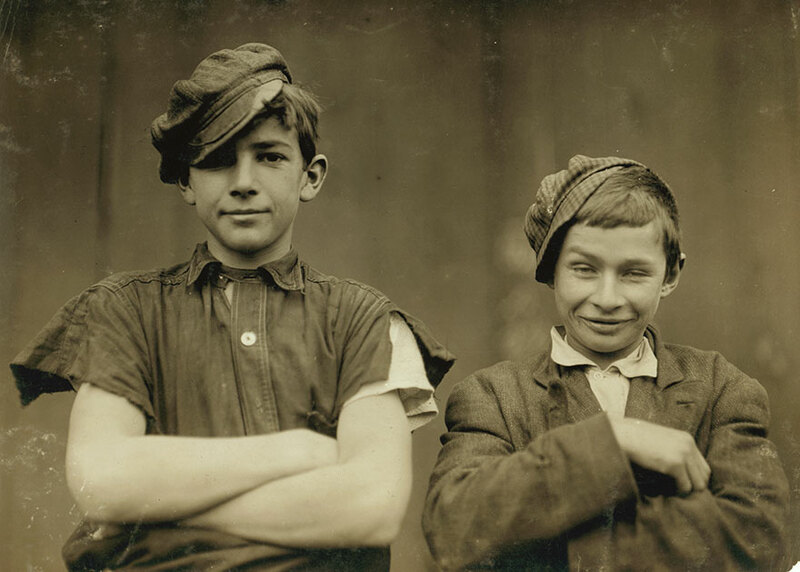 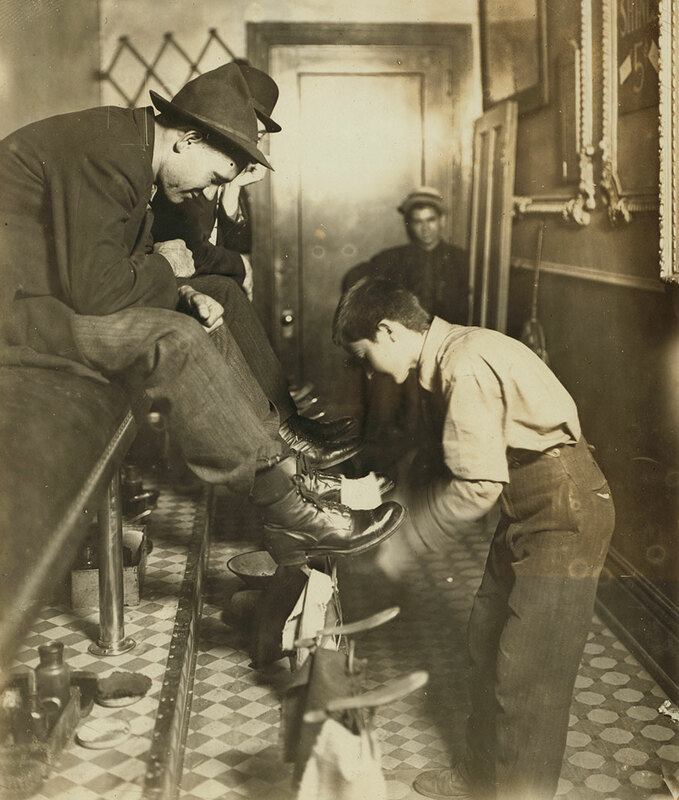 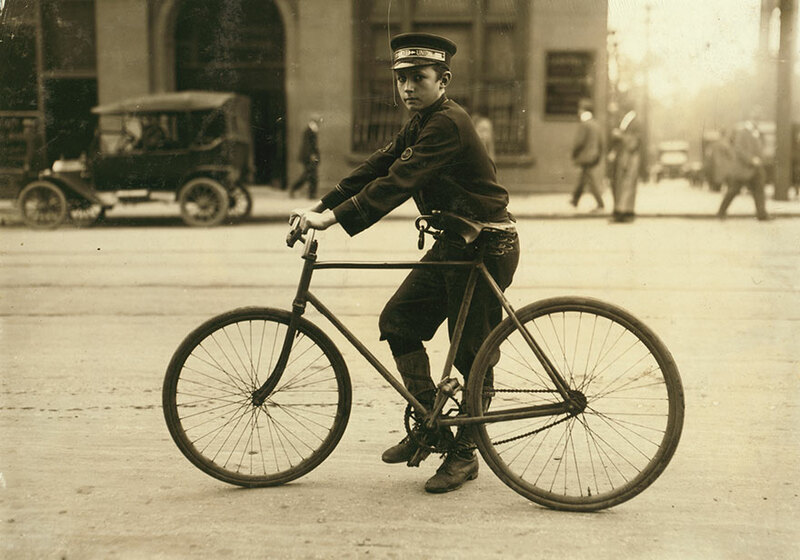 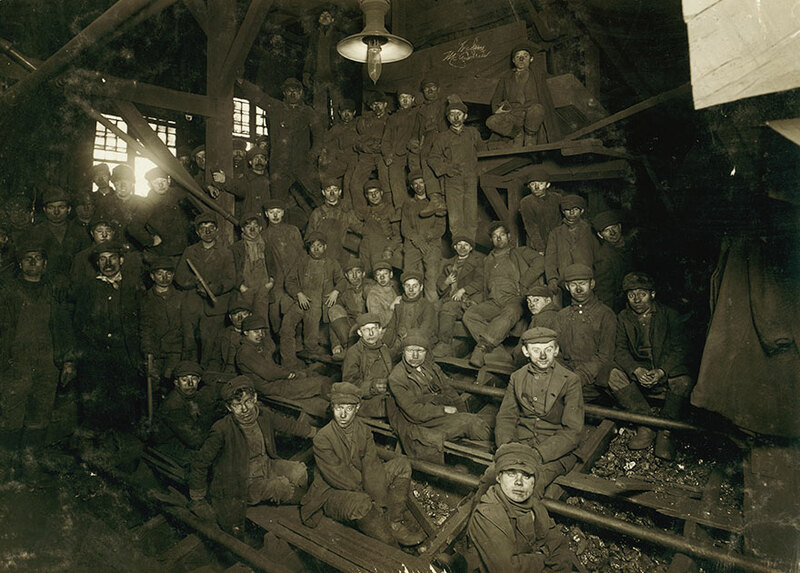 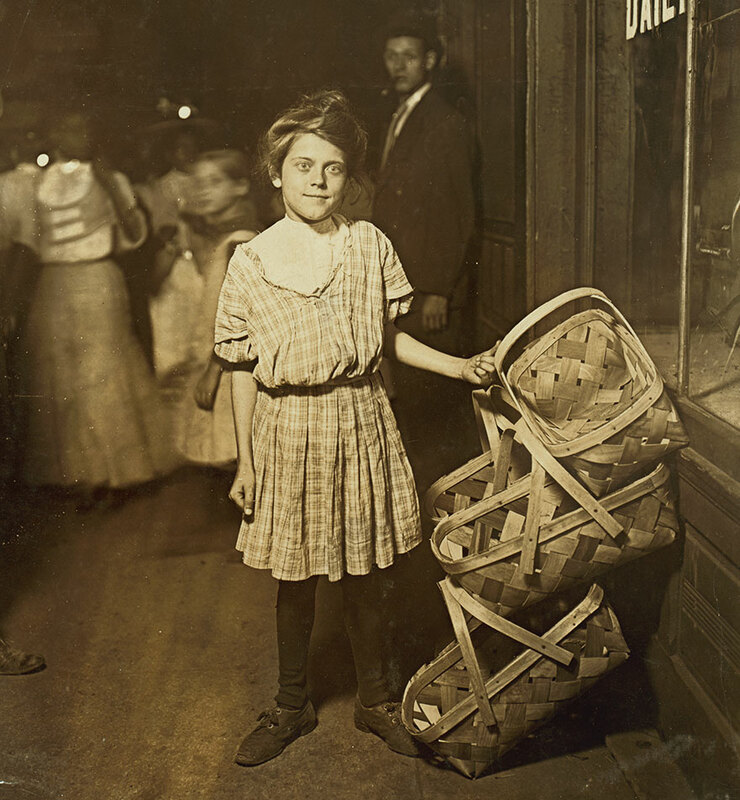 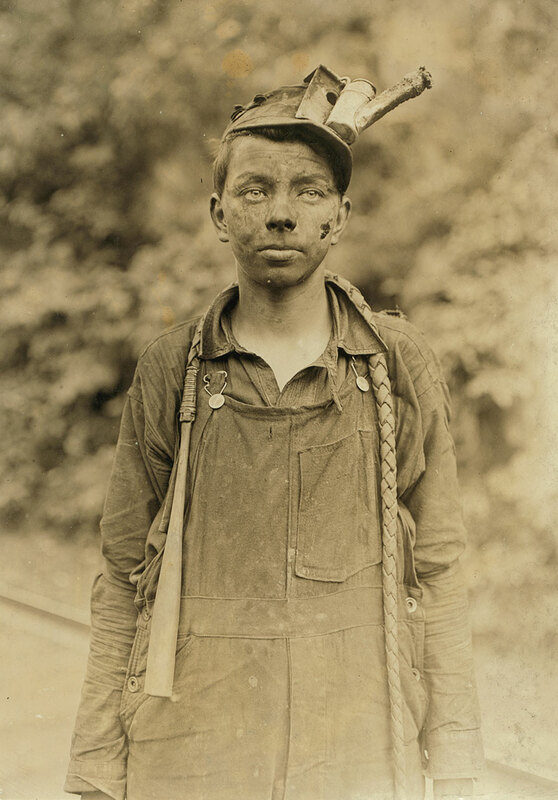 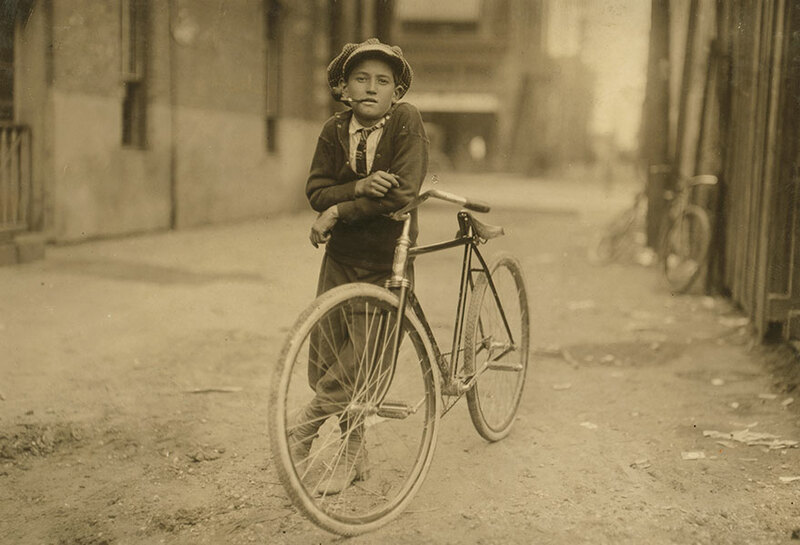 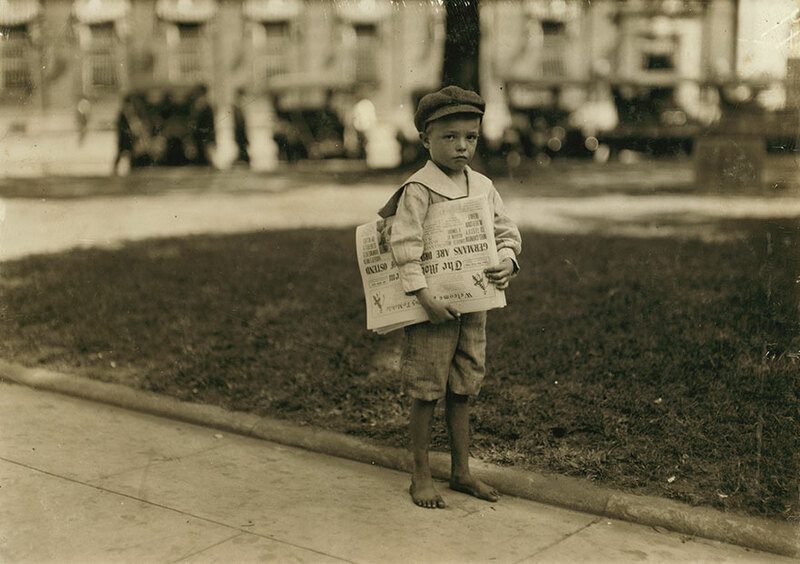 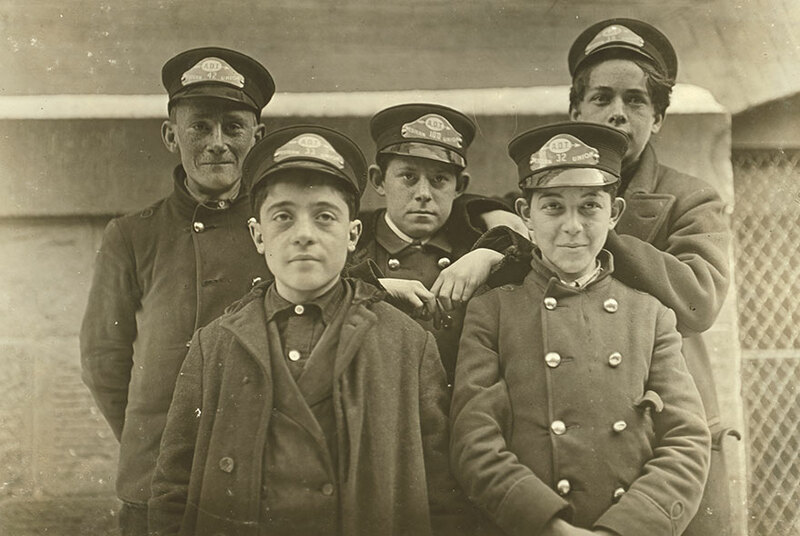 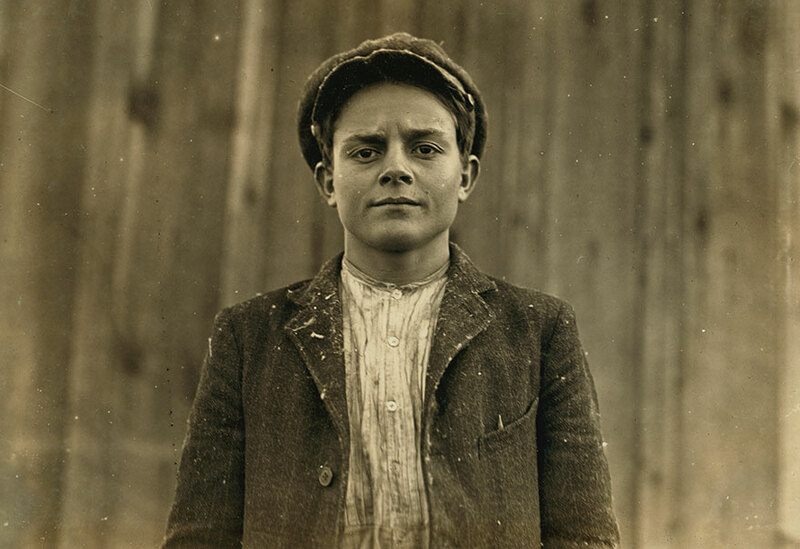 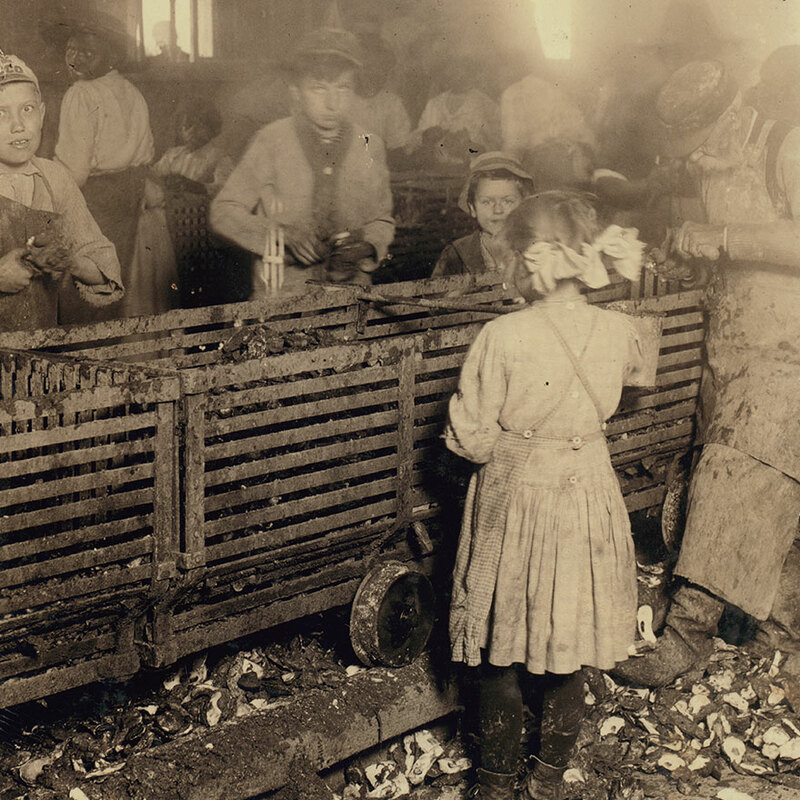 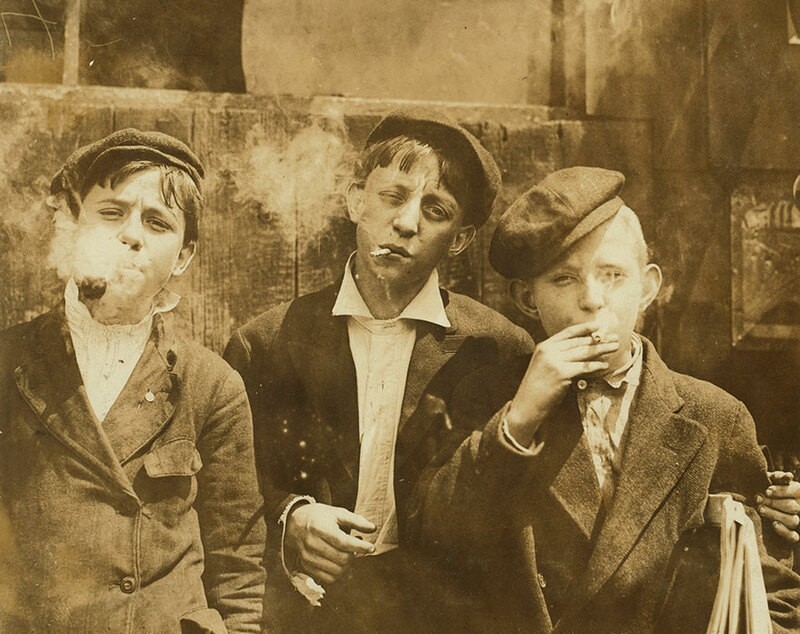 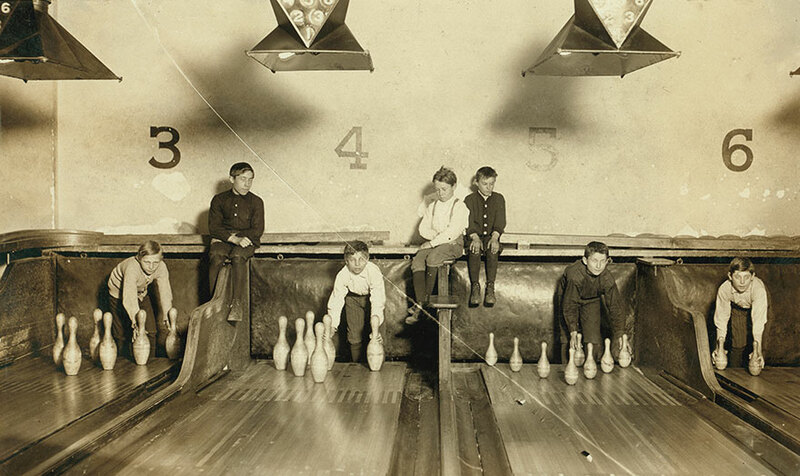 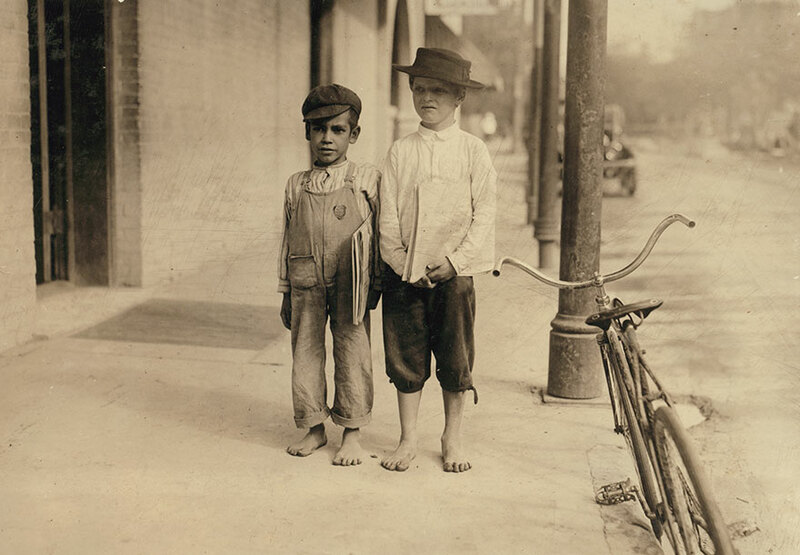 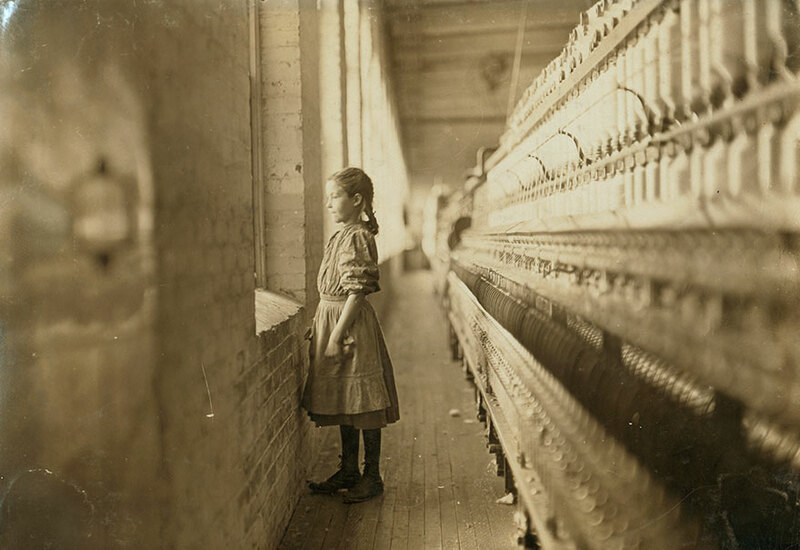 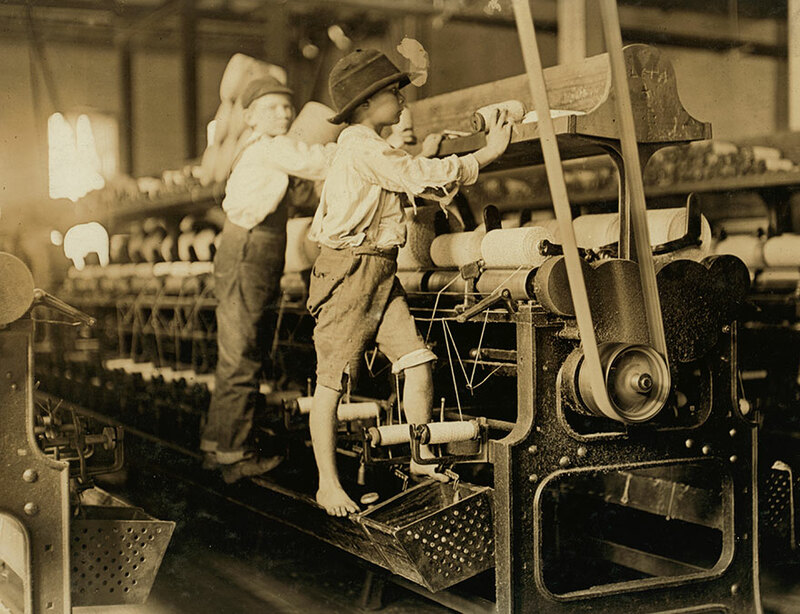 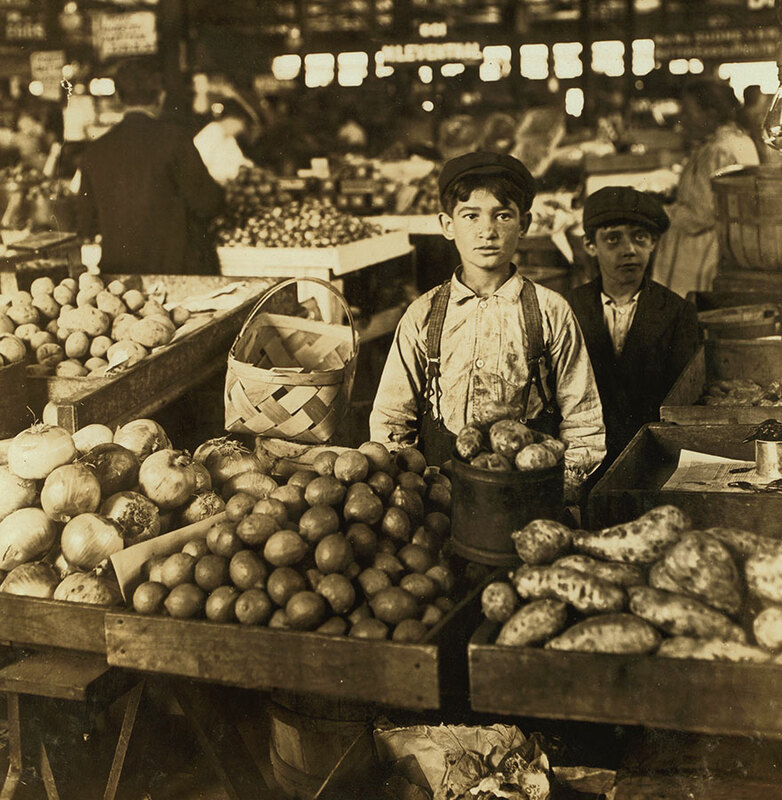 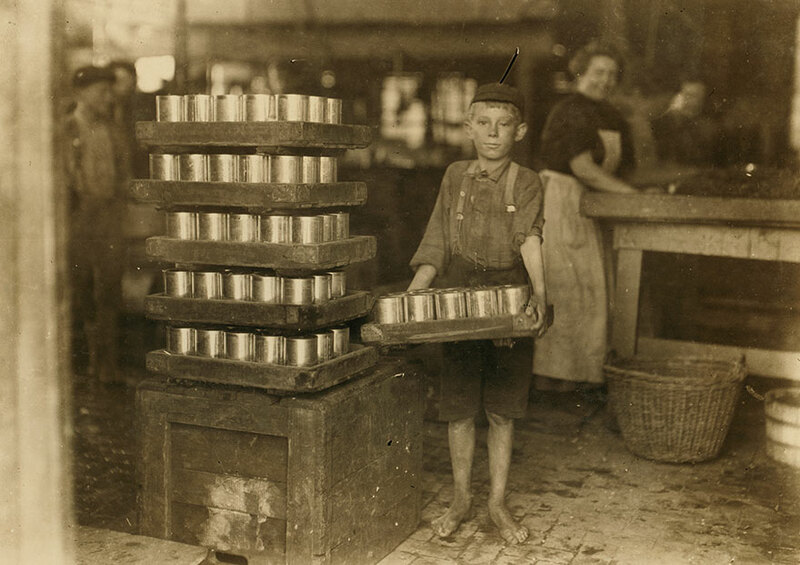 In 1908 Lewis Hine picked up his camera and became the photographer for the National Child Labor Committee. 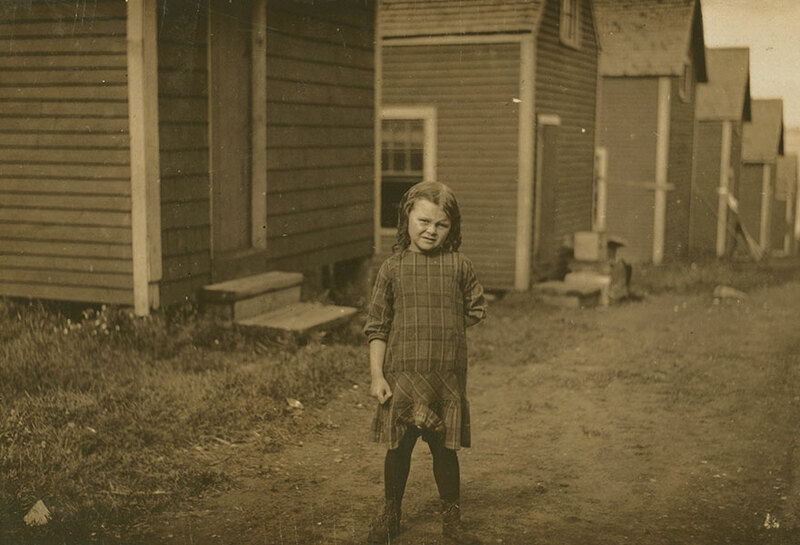 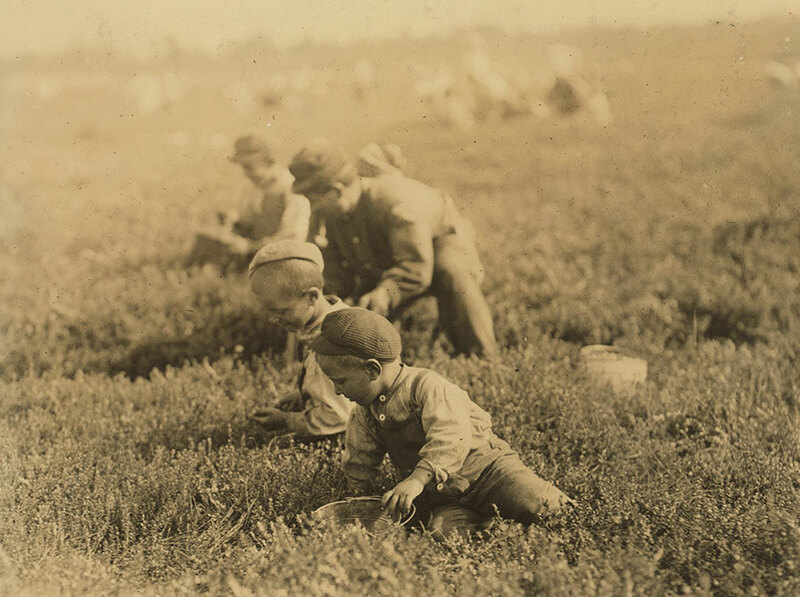 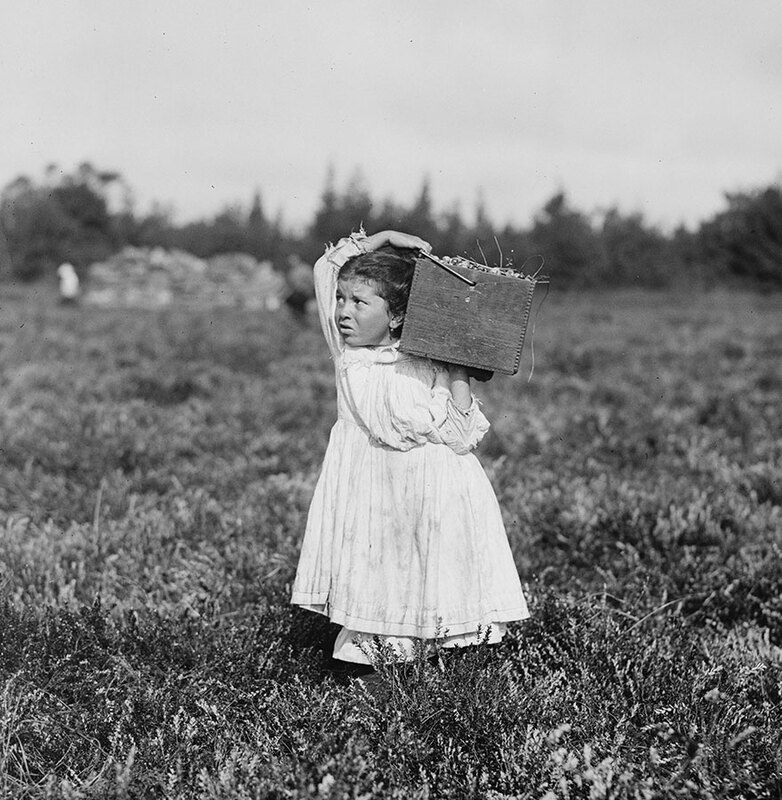 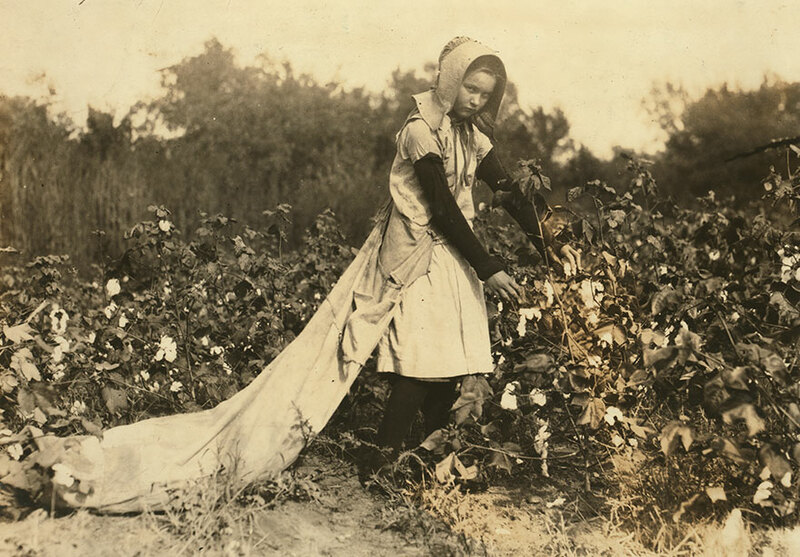 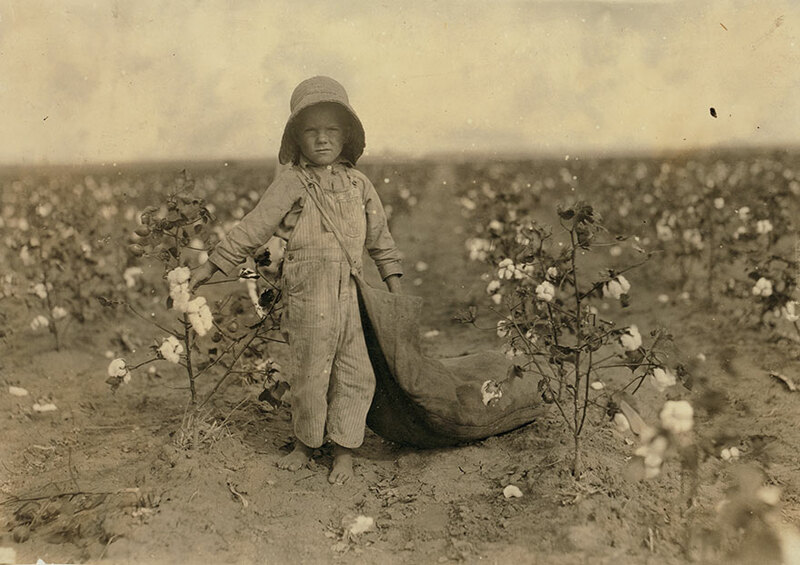 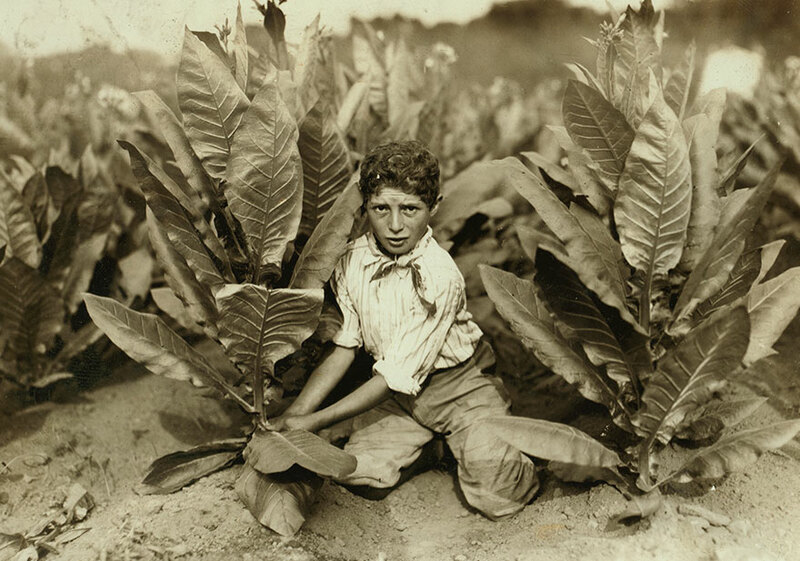 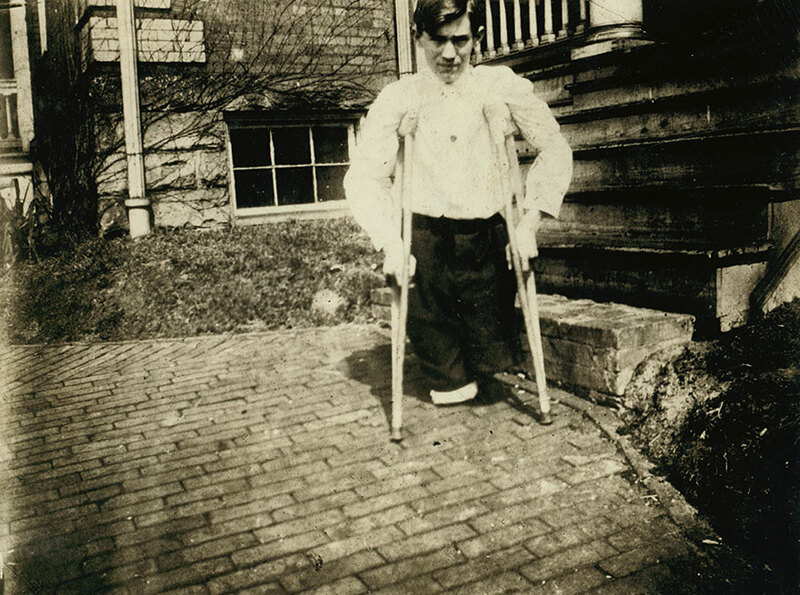 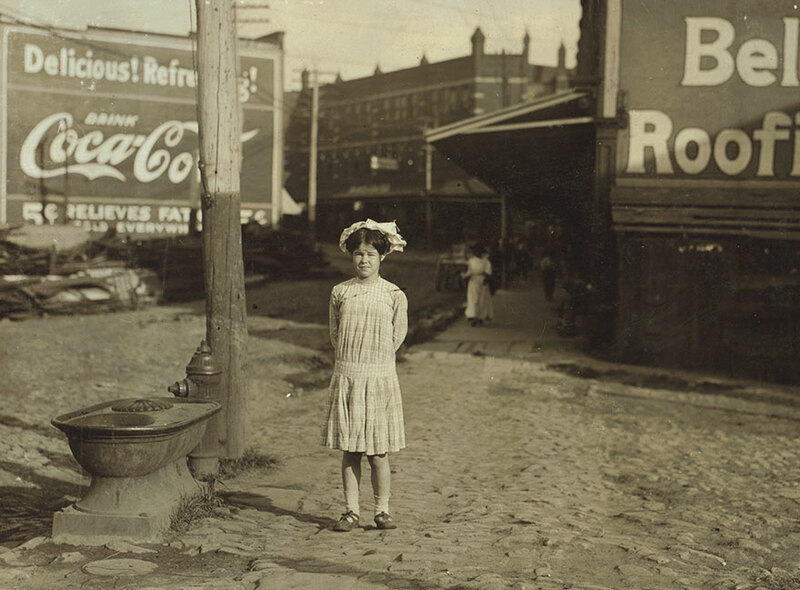 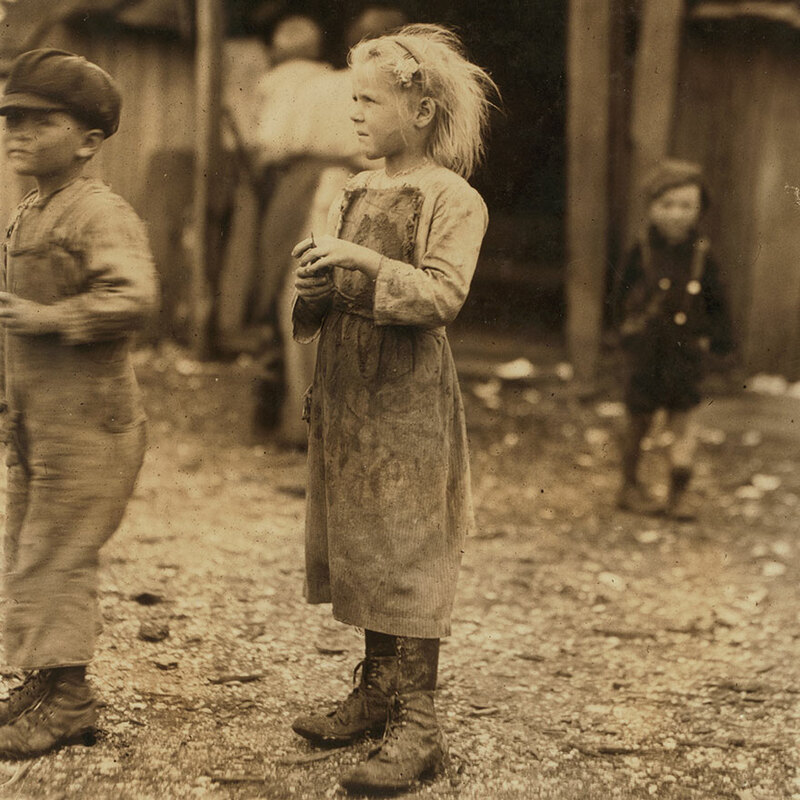 It was a start of a long decade, as Lewis traveled across the country, documenting child labor, getting constant threats from factory owners as the immorality of child labor was supposed to be kept away from the public’s eye. 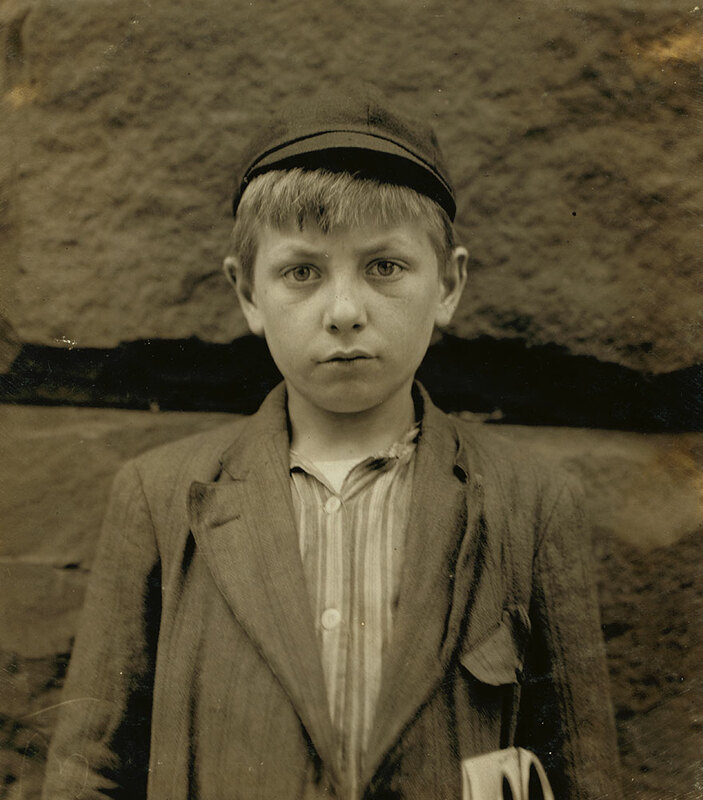 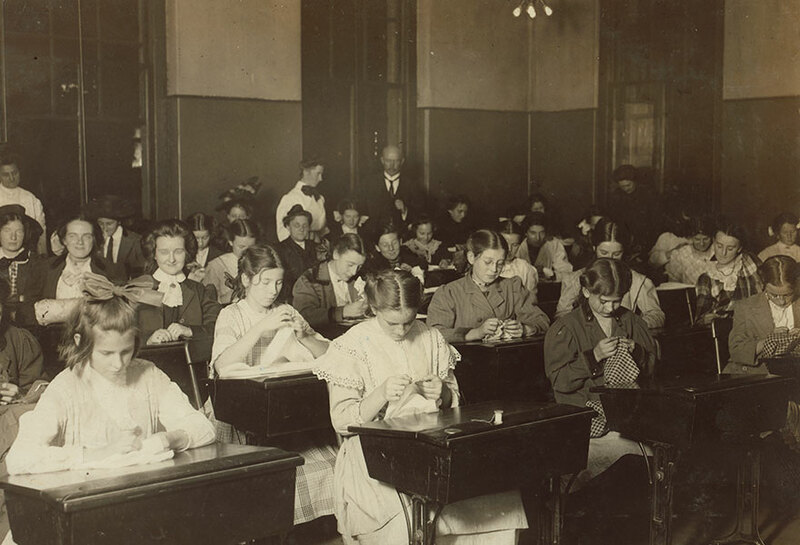 However, Hine persisted, adopting many different disguises (such as a fire inspector or a bible salesman) to snap pictures and interview the children working at factories or in the streets. 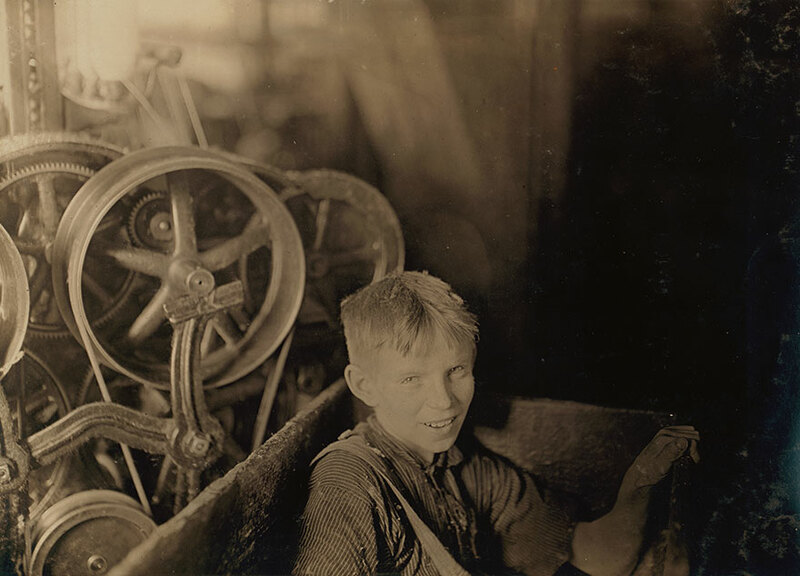 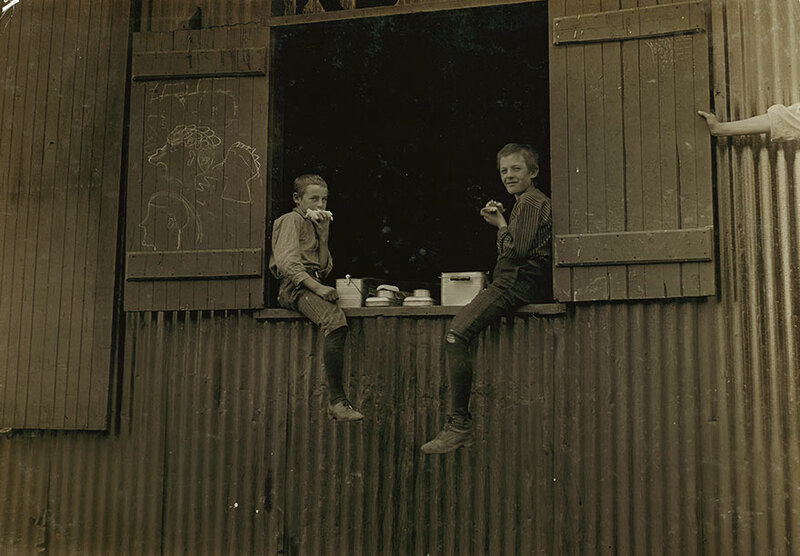 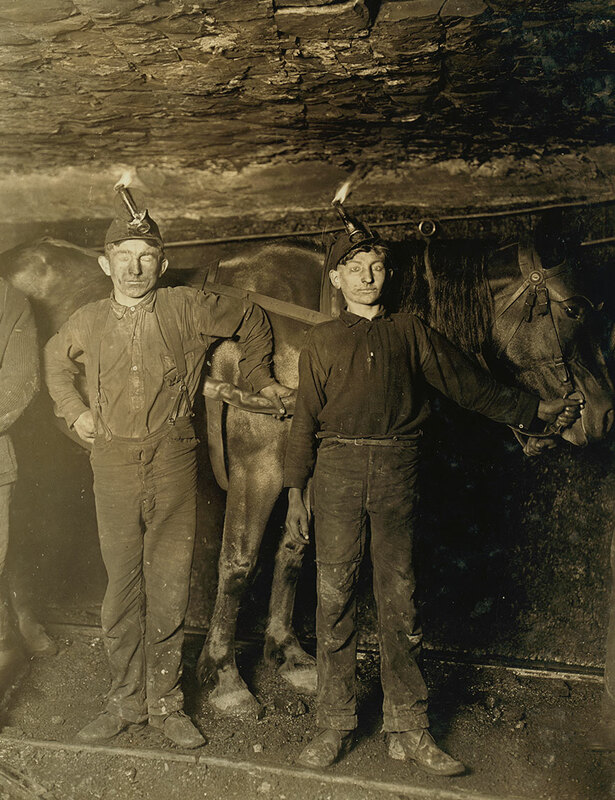 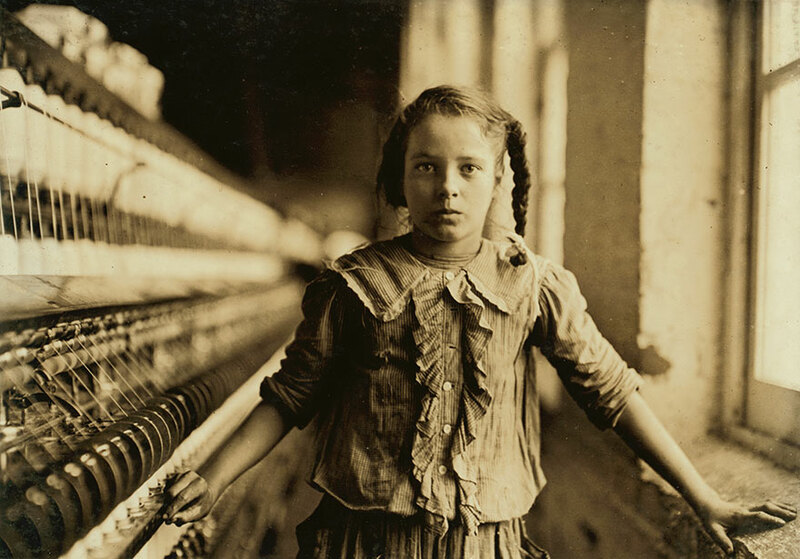 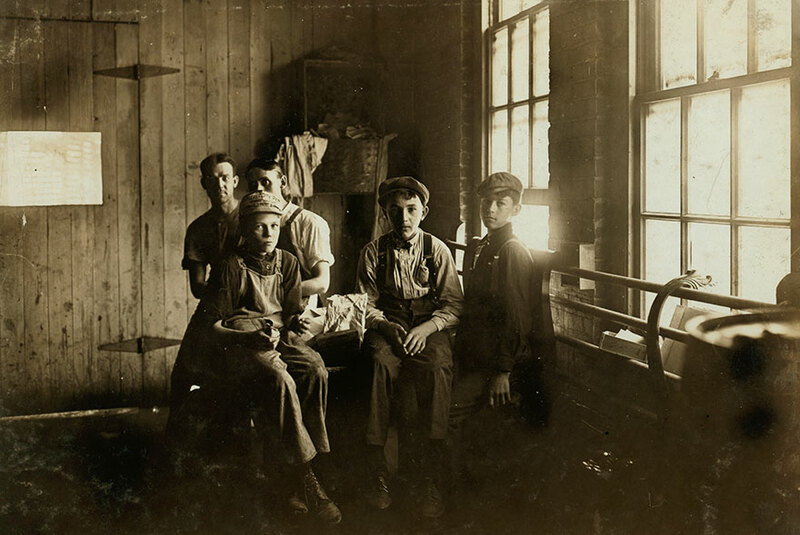 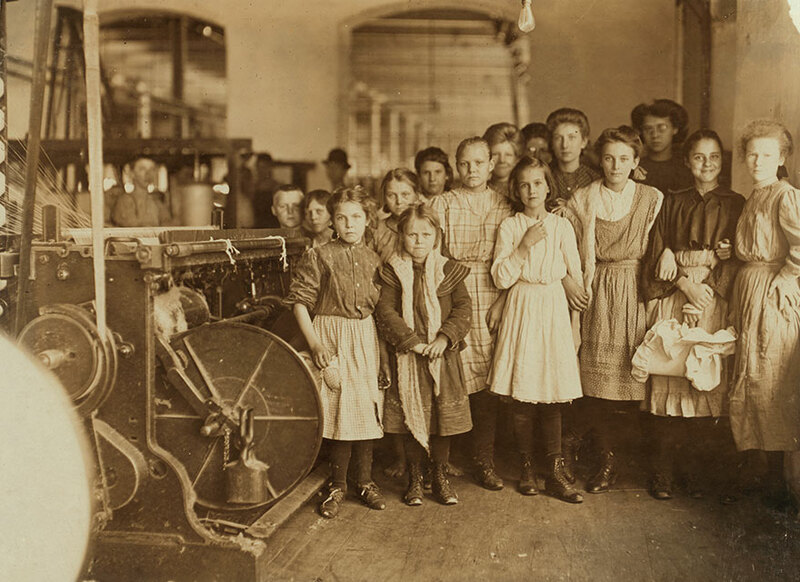 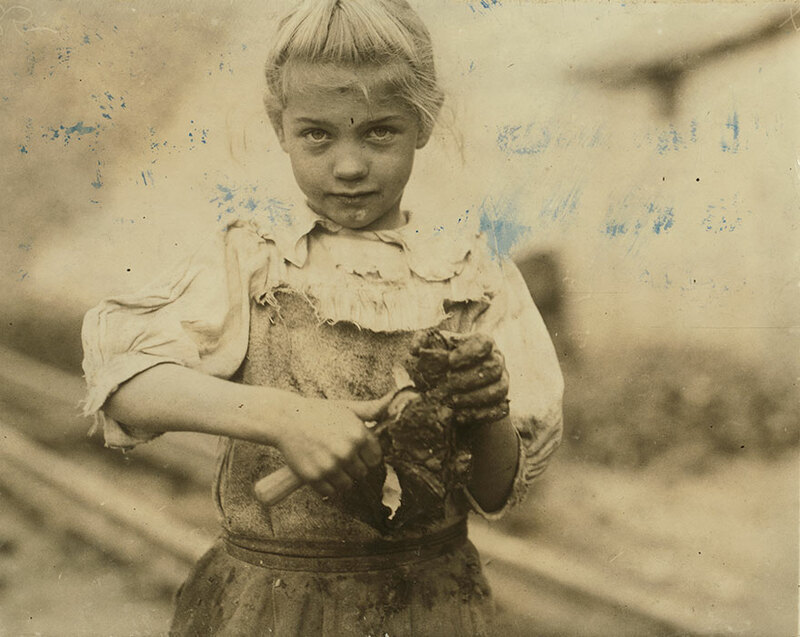 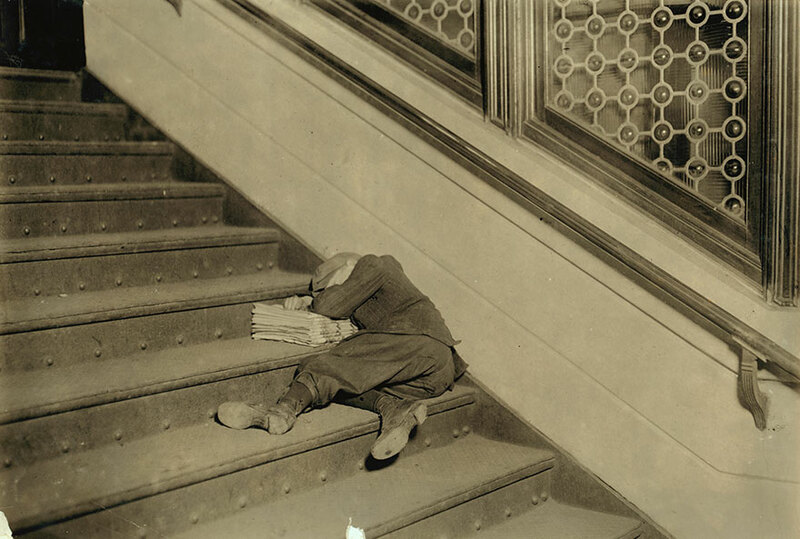 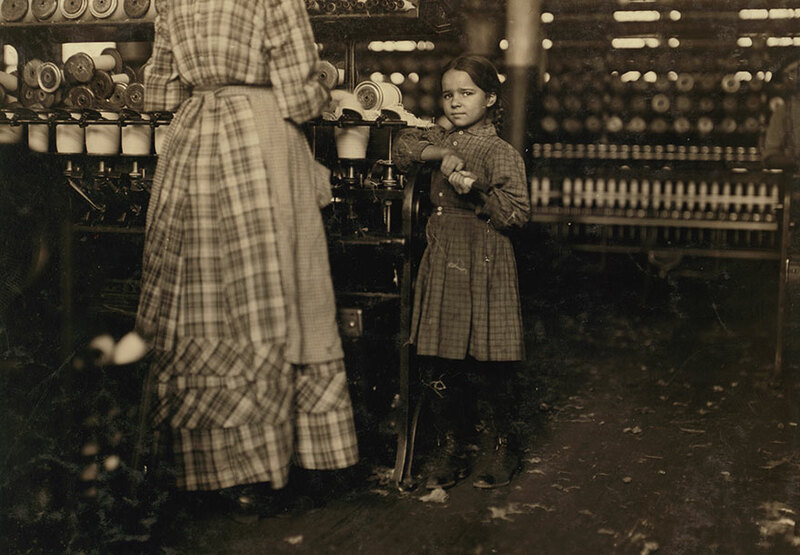 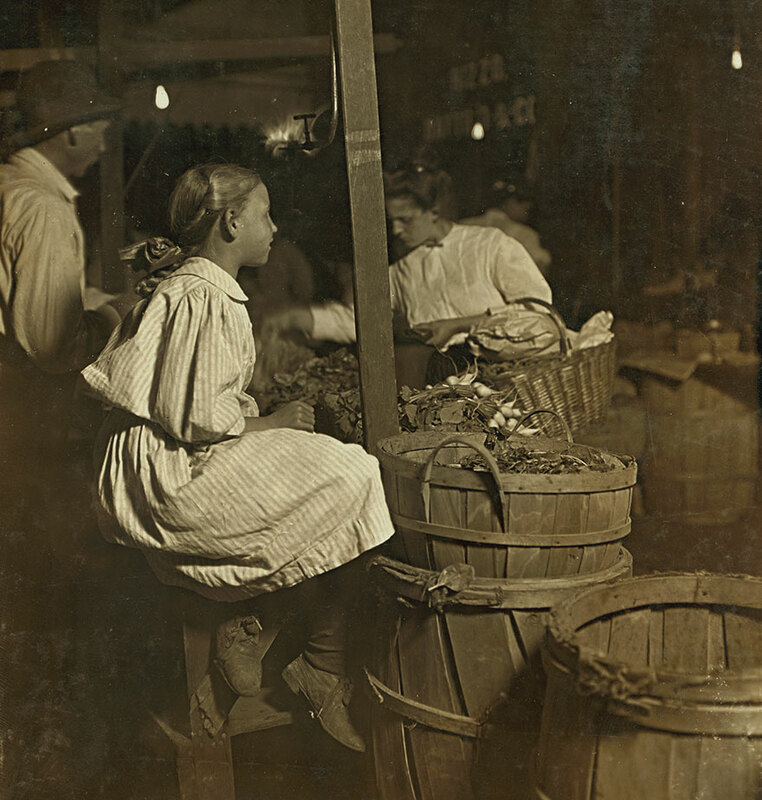 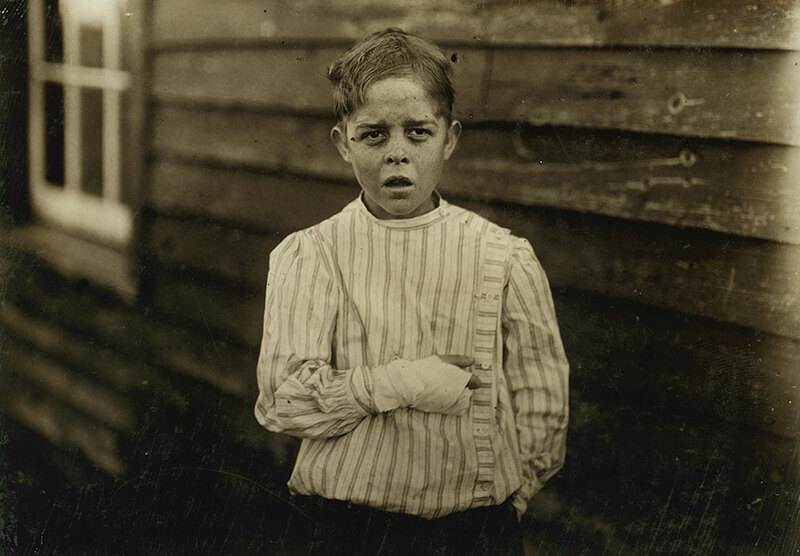 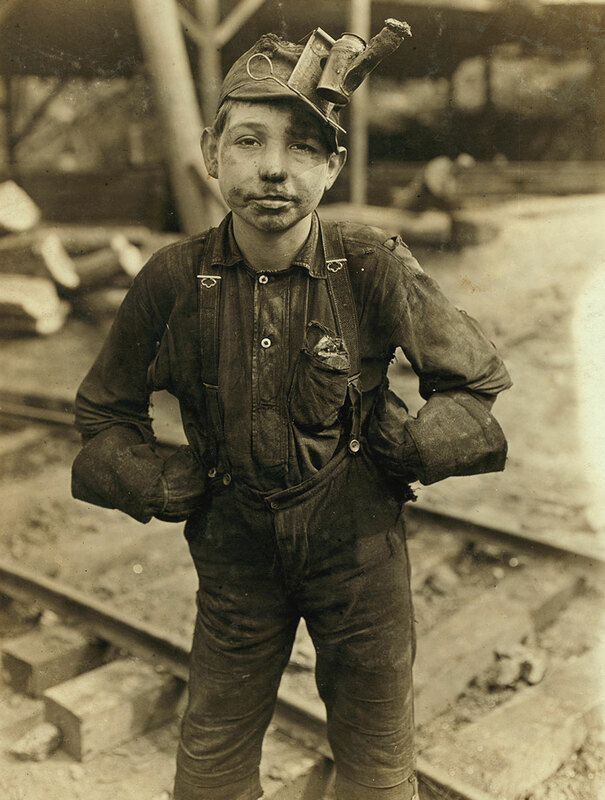 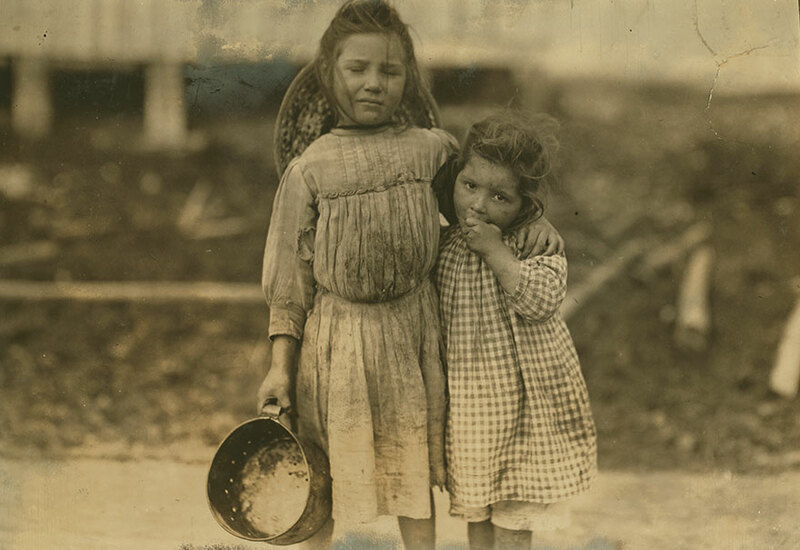 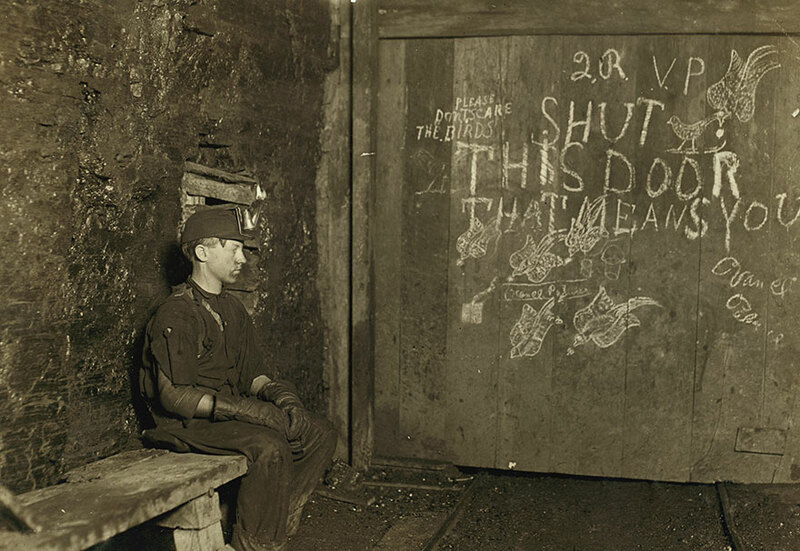 Lewis Hine used his camera as a tool for social commentary and reform, focusing on the dangerous and appalling conditions that the children had to work in. 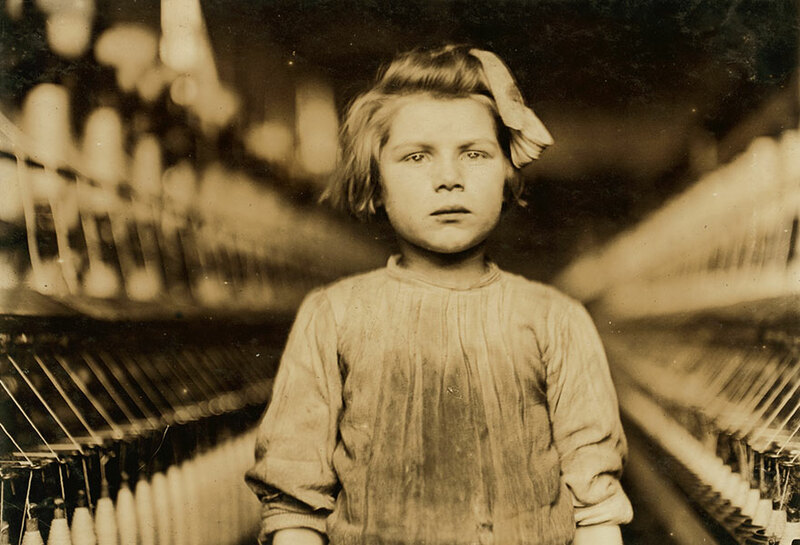 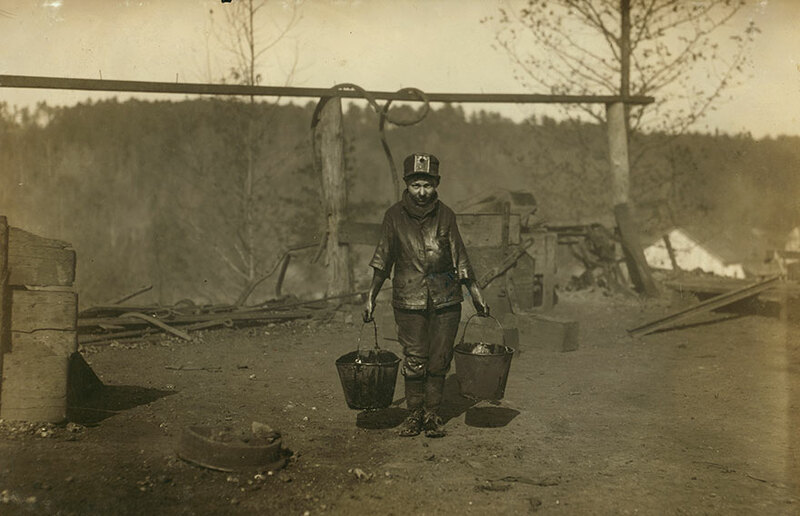 Risking his own safety, Hine snapped thousands of photographs with one goal – to end child labor. 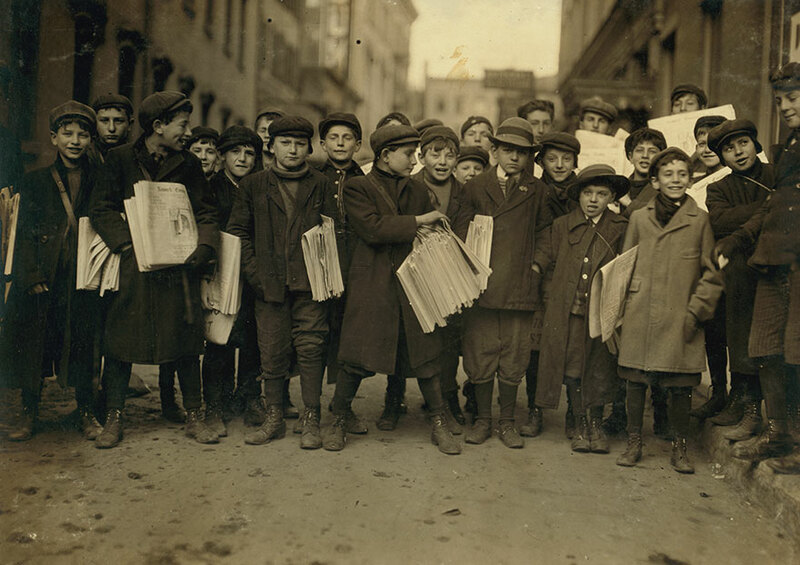 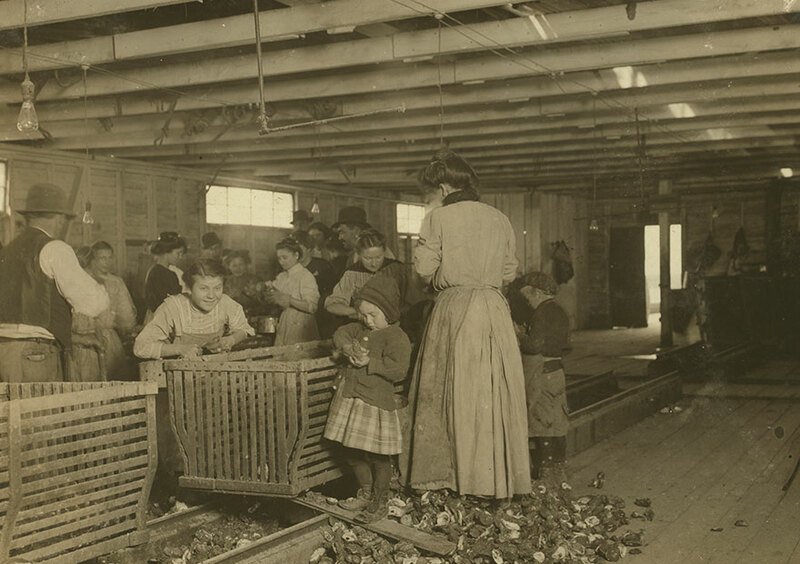 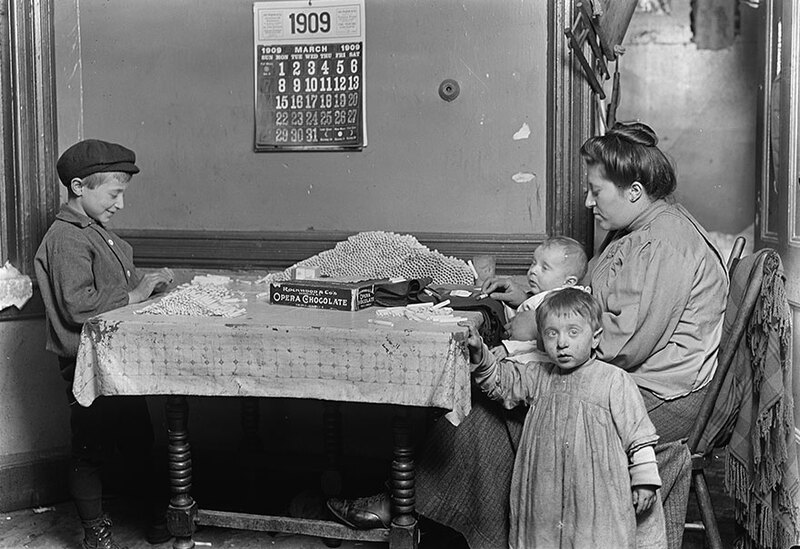 And of course, spreading the photographs, in the form of pamphlets, newspapers, and magazines paid off as the federal government eventually had to put out stricter labor laws. 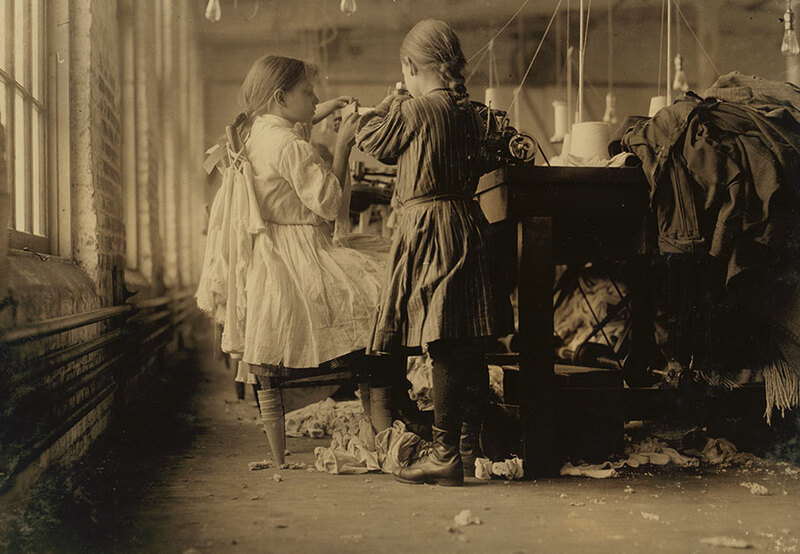 Scroll down below to see a selection of Hine’s photographs and don’t forget to tell us what you think.